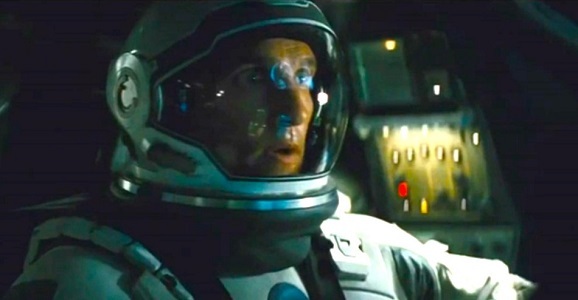 You were probably already planning to do this, but you need to make sure to see Christopher Nolan’s upcoming Interstellar on the biggest screen you can possibly find. The Dark Knight director is prone to filming pieces of his movies in IMAX, and that much hasn’t changed, but the pieces got a lot bigger, as an hour of 169-minute-long film will be presented in the large-scale format, which is going to look incredible. And just in case you aren’t already super psyched for this, movie, Paramount has also revealed three new international TV spots with a few bits of new footage, just to keep them interesting. This is the first film I have made where the actual experience of the film is paramount to the audience. You would think that’s the case with Batman movies but it’s not; they’re more dependent on the reaction of characters on screen. ‘Interstellar’ is different. It harkens back to the direct experience films of ‘2001,’ where you’re not just experiencing it through the characters, you are lost in it. It’s this quest to fully immerse audiences in the world of his film, and there are few better ways to do that than with IMAX. Some may argue 3D, and while it can deliver that kind of effect on occasion, it’s a different feel. And Nolan was staunch in his opposition to 3Difying everything (he wouldn’t budge when the studio wanted him to film The Dark Knight Rises in 3D). The film is about human nature, what it means to be human. It sounds like a very grand statement, but I don’t intend it to be. I mean it in the way, say, ‘Treasure of the Sierra Madre’ is about dramatizing ideas of human nature. When you take an audience far away from human experience as possible, you wind up focusing very tightly on human nature and how we are connected to each other. What the film tries to do is to be very honest in that appraisal. The first trailer basically recounts the story as we know it. Spot number two is a bit longer and more in depth, and while the space elements play a definite part, this one really plays up the family angle. This is complicated by the fact that, traversing space as they do, impacts the way time plays out in each place, and is illustrated by the fact that we see certain characters bounce between childhood and adulthood. This last one is the most familiar of the three, and is very similar to many of the spots we’ve seen before. Still, this is far better than damn near every last trailer for any other movie out there, and is gorgeous and moving and makes us wish this damn movie would open already. Interstellar stars Matthew McConaughey, Jessica Chastain, Anne Hathaway, Michael Caine, Wes Bentley, Casey Affleck, David Oyelowo, Mackenzie Foy, John Lithgow, Topher Grace, and many more, and opens everywhere November 7.